The ancient tombs contained a well-preserved woman and the priest responsible for embalming the pharaohs. 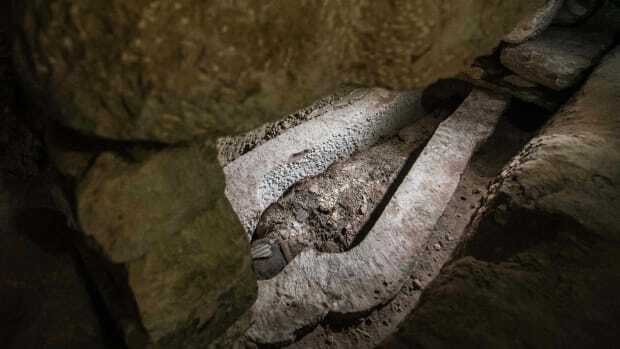 Egyptian officials have cracked open a sarcophagus discovered inside an ancient tomb in Luxor to reveal a well-preserved female mummy they believe is more than 3,000 years old. The woman’s remains inhabited one of two separate coffins found inside the same tomb in the El-Asasef necropolis, located on the West Bank of the Nile in southern Egypt. 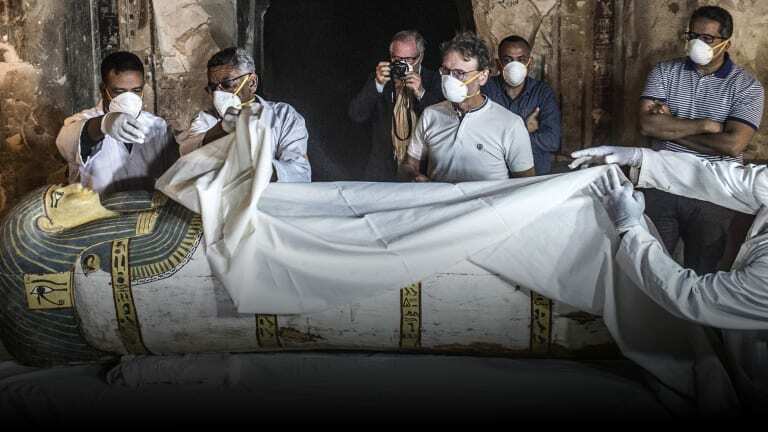 Though Egyptian authorities have announced numerous discoveries this year, this is the first time they’ve opened an ancient sarcophagus for the first time in front of international media. 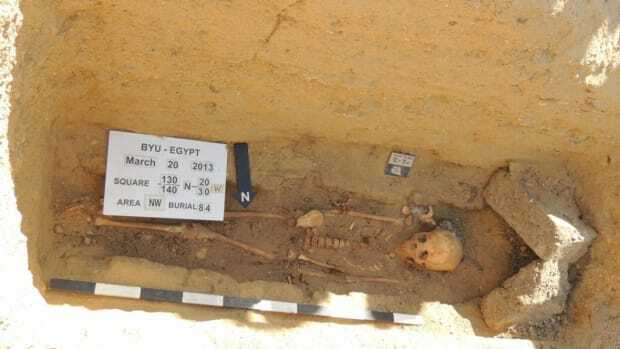 Ministry officials think the woman inside the sarcophagus may be named Thuya, though a spokeswoman said they were still working to definitively identify the mummy. The tomb dates to Egypt’s middle kingdom, nearly 4,000 years ago. 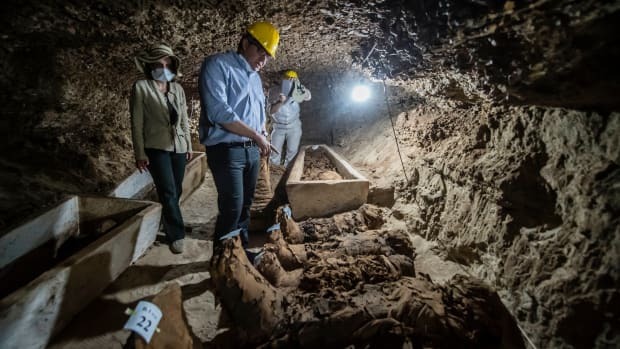 The archaeologists identified the mummy inside the other sarcophagus as Thaw-Irkhet-if, a priest who is known to have supervised the embalming of several pharaohs at the Temple of Mut in Karnak. 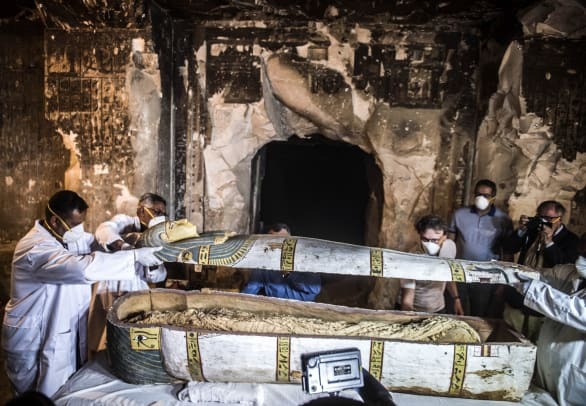 “One sarcophagus was rishi-style, which dates back to the 17th dynasty, while the other sarcophagus was from the 18th dynasty," Minister of Antiquities Khaled Al Anani said. Ancient Egypt’s 18th dynasty dates to the 13th century B.C., and included well-known pharaohs like Tutankhamen and Ramses II. Located between the royal tombs in the Valley of the Queens and the Valley of the Kings, the El-Asasef necropolis was used to bury noblemen and women close to the pharaohs. 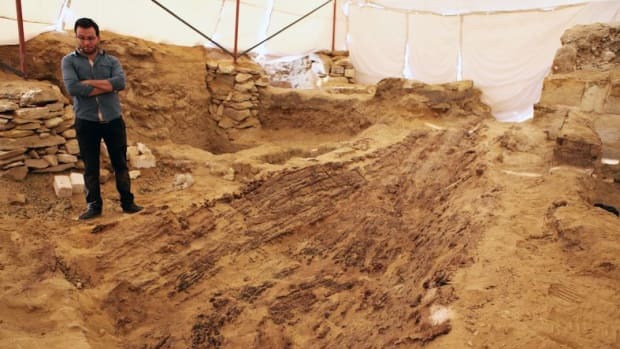 After working for five months to clear 300 meters of rubble, a French-led team of archaeologists uncovered this particular tomb earlier this month. 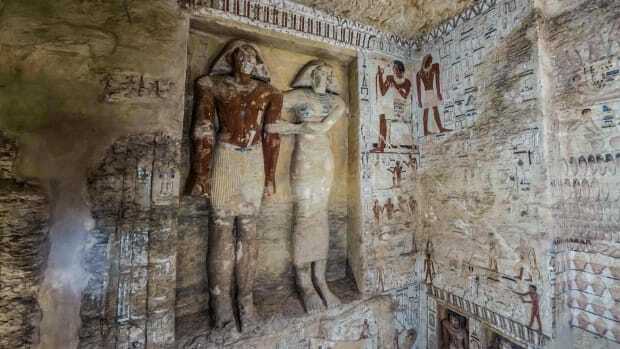 Vividly colored paintings on the ceiling depicted the tomb’s owner and his family members. 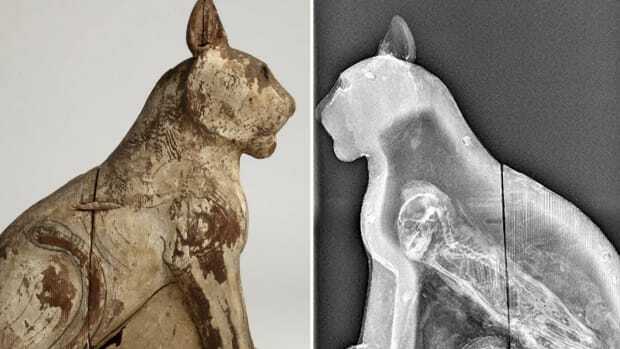 In addition to the two sarcophagi, the tomb contained other mummies, skeletons and skulls, as well as around 1,000 statues made of wood and clay. Known as Ushabti, these figurines of servants were meant to accompany the dead and serve them in the afterlife.